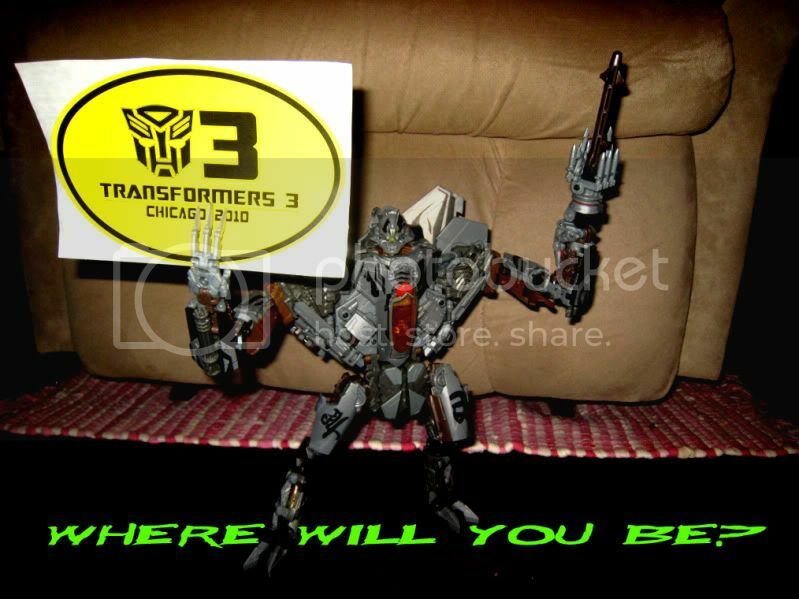 Transformers 3 Chicago 2010: Where will you be? Discussion in 'Transformers Movie Discussion' started by Jimmy88, Jul 27, 2010. Hi guys I kinda made this, Enjoy "So where will you be?" where are they this week. i havent gone to check it out downtown since friday. and i still havent found any security ppl passing out those stickers! I'll have to wait till my birthday (August) and go to Detroit while they're filming there. I live in the suburbs of chicago so that's where I will be. Thanks for caring.